Students, listen up, someday (or maybe today) you have to get a job. And to get your hands on a good one you need a few professional staples, a resume and cover letter are the basics. But if you’re looking to land that awesome creative job of your dreams you have to have a solid portfolio to show off what you’ve got. We all know that sketchfab.me is an awesome way to show off our rockin 3D models to potential employers (and it’s free for students!). But what are you supposed to do when your work expands more than just 3D? I just put together an account (thePortfolium.com/mirandasita) and it was crazy easy, so here’s a little tutorial so you can too! Signing up is simple (and free), and a short tutorial that shows up the first time you log in will help you get your profile looking its very best. Put some heart into it, make yourself and your work look good. Tip: If you log in using LinkedIn, Portfolium imports a lot of your previous projects and work information for you! 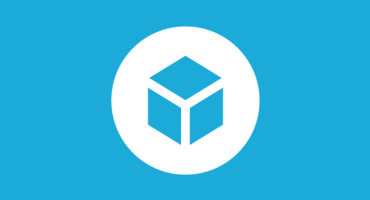 Now you’re ready to embed your Sketchfab 3D models! Fill out the title, give it a caption, upload a photo, and click continue to move on to the fun part! note: giant red arrow will (sadly) not show you the way on your screen. Paste the link in to your Sketchfab 3D Model and (whala!) you’re on the road to the coolest portfolio ever! Here is the related project. For now on when folks want to look at this project all they have to do is hover over the Sketchfab icon under the Attachments tab and they can view your model in all of its wonderful dimensions! If you’re having any issues with embedding your Sketchfab models on Portfolium, or any other questions you may have about Sketchfab, feel free to contact us at support@sketchfab.com and as always we will be happy to help you out!